Great things were expected of Allogene Therapeutics’ IPO this week – the company is led by Arie Belldegrun and David Chang, who masterminded development and approval of Kite Pharma’s CAR-T cancer therapy before selling the company to Gilead for $12 billion. The company had already raised more than $400 million in two private funding rounds to develop its ‘off-the-shelf’ CAR-T therapy and had been planning to raise $287 million from its debut on Wall Street. But the IPO this week exceeded even this ambitious target, raising $324 million on Wednesday, with shares rising by 30% on the first day of trading. So far, Kite is part of an elite club of only two companies that have managed to get CAR-T therapies to market – its Yescarta won approval shortly after Novartis’ Kymriah last year. 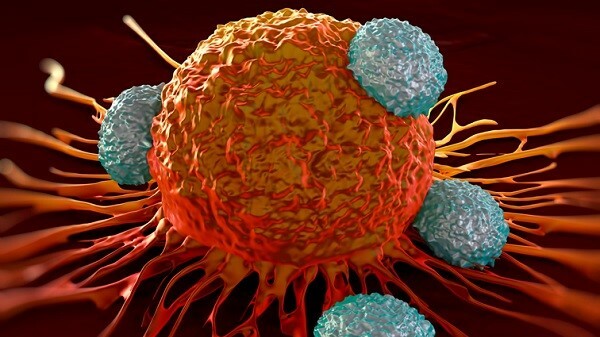 What has excited investors so much about Allogene is the potential of its allogeneic CAR-T therapies, which are derived from a bank of cells instead of being manufactured from a patient’s own T-cells, a costly and time-consuming process. Allogene has partnered with French firms Cellectis and Servier to develop CAR-Ts, after buying out Pfizer in April and taking over its role in the R&D collaboration. The company’s lead candidate is UCART19, a cell therapy targeting CD19 that is in phase 1 trials for paediatric and adult acute lymphocytic leukaemia. Allogene and Cellectis are in a crucial period of development where they will gather the first detailed clinical data about UCART19. Allogene said in its IPO filing that it is also developing a range of other drugs in its pipeline, targeting solid tumours as well as blood cancers. Among preclinical assets ALLO-501 targets CD19 and is in development for non-Hodgkin lymphoma, while ALLO-715 targets BCMA suggesting it could be used in multiple myeloma like Celgene/Bluebird Bio’s bb2121. Allogene plans to apply for clinical development for ALLO-501 and ALLO-719 next year. ALLO-819 targets Flt3 receptors and is in preclinical development for AML; there is an unnamed drug targeting CD70 that could be used in NHL and renal cell cancer. A therapy targeting DLL3 could be a potential therapy in small-cell lung cancer and there is also a monoclonal antibody targeting CD52 that could be used to help prevent the body rejecting Allogene’s cell therapies.